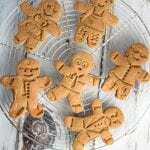 Gather around the kitchen this Christmas and make some Easy Homemade Gingerbread Cookies with your friends or family! Your house will smell AMAZING! This morning I felt like one of Santa’s little elves as I dropped off 3 bags full of these adorable stamped gingerbread cookies at The Bar Method Fresno location. If you do not know what Bar Method is or anything about the workout I highly recommend going to the main website and checking it out! It has made me more flexible, decreased my body fat, and made me much stronger. Not to mention the confidence that comes along with working out on a regular basis! Here is also the link to the Fresno location…and I am getting very excited about Bar Method Clovis that will open in 2016! I know these cookies look plain without icing on them…you can decorate to your liking…I am just not a frosting person and would rather enjoy the full taste of the gingerbread cookie itself! Plus, saves you some extra calories 😉 To stamp the cookies, I used stamps from a gingerbread set I got in a White elephant exchange and they were from Sur la Table…so cute! My point to this is that is will be OK to eat a cookie or have something high in carbohydrates this Christmas. It really all leads back to balance and moderation! Have a Merry Christmas everyone!! 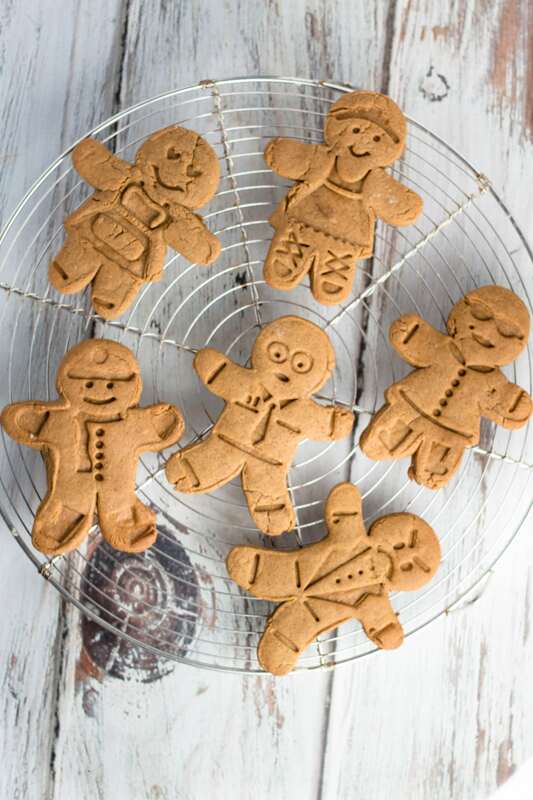 Have a cookie decorating party this Christmas season and make these adorable gingerbread cookies! Preheat oven to 350 degrees. In a mixing bowl whisk together flour, ginger, cardamom, cinnamon, cloves, nutmeg, baking powder, baking soda and salt & set aside. Using a Kitchen Aid with the paddle attachment, cream together sugar and butter until well combined. Scrape down the sides of the bowl when needed. Mix egg yolk (not the egg white, just yolk) and vanilla. Then mix in molasses and 2 Tbsp milk. Divide dough into two-four equal portions then roll each portion out evenly to 1/4-inch thickness. Chill on a cookie sheet lined with parchment paper in the freezer for 10 minutes or until firm then cut into shapes using cookie cutters. ( I used cookie cutters from Sur la Table). Remove from paper using a thin metal spatula or pastry scraper if needed then transfer to a cookie sheet, spacing cookies about 1-inch apart, and bake in preheated oven 10-12 minutes or until slightly set. Repeat process with remaining cookies. Remove from oven and cool on baking sheet 2 minutes then transfer to a wire rack to cool completely. Decorate with frosting if you desire! I doubled this recipe and had 3 freezer bags full of cookies!